I was given this pack by Wizzy Gizmo for free for the purposes of use and review. All opinions expressed are my own. What is the result of two families collaborating together to bring God glory by providing engaging Biblical content? What happens when the dads of these families form a business partnership to provide educational resources for parents and their children that teach Biblical content, doctrine, church history and theology? Wizzy Gizmo is what happens! 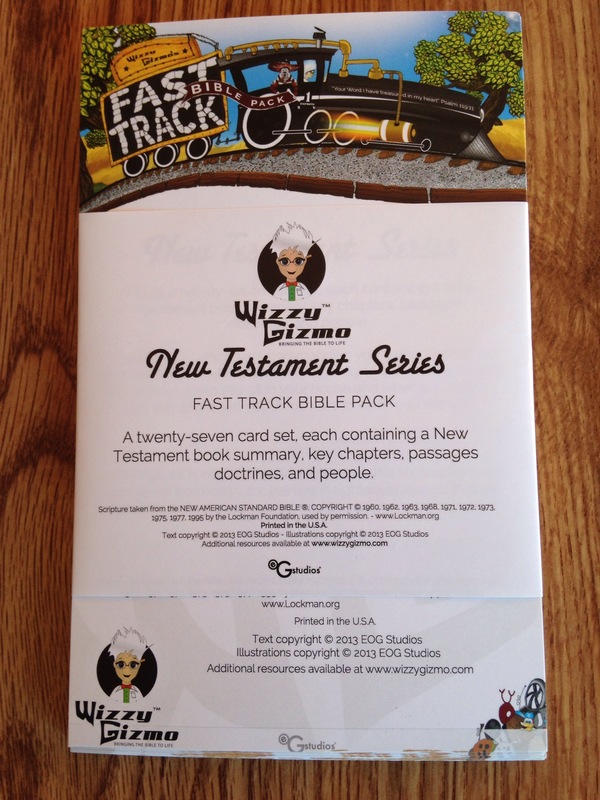 These two dads were on a mission to provide positive Biblical entertainment that installs Biblical truths in children, and Wizzy Gizmo is the ingenious result. The site provides quite and array of resources for Christian education that are colorful, fun, and packed with valuable information. My daughter is 14 years old, and is a freshman in high school. When I first received the New Testament Fast Track pack to use and review, I wasn’t quite sure if she would benefit from the cards, thinking maybe she was too old for them. However, I was glad to be wrong. They are great for older kids to read aloud. My daughter does not have a particular love of reading, but she ate up reading these to me! She reads aloud very well already, but these cards worked to increase her fluidity and vocabulary, in addition to teach in her about the Bible…a big plus for me. These cards benefitted me as an adult! I am learning as much about the New Testament on my level as she is on hers. 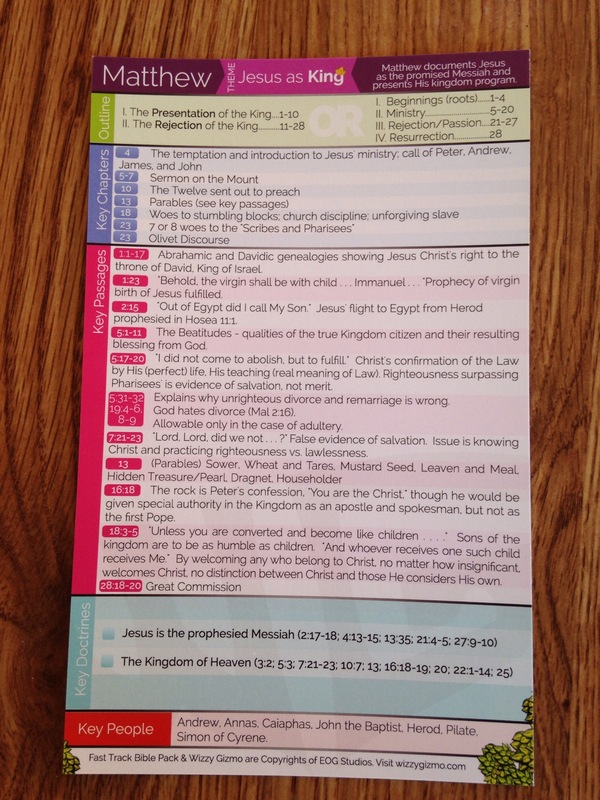 The cards really do give a clear and concise overview of each NT book, and that is something that I can pass on to others that I teach the Word of God to at church. 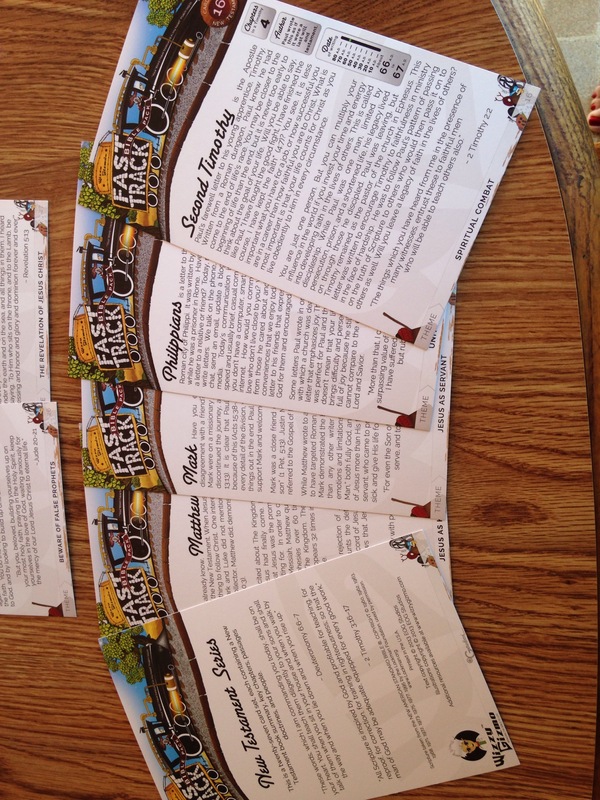 There are ways to use the cards for each age group, and those suggestions are listed on the website. In addition, you can go as deep as you and your child (ren) want to into the study of any given book. The price is only $14.99 for this pack, and that is quite a value for all that you get in this set. Whether you are a homeschooling parent, a Sunday school teacher, or you just want to teach your children more about the Bible, I highly recommend this invaluable Christian education resource. Please visit WizzyGimo.com for more information and to see the full array of tools they offer. And check out Homeschool Mosaics for more reviews!